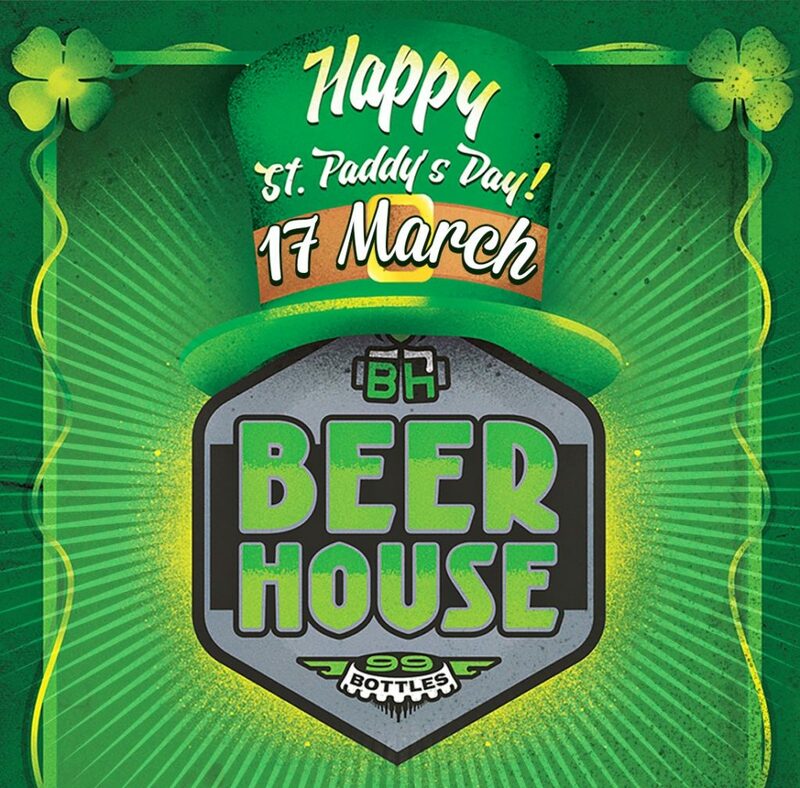 Come celebrate St. Patrick’s Day with us on the 17th of March #atBEERHOUSE. St. Patrick’s day commemorates Saint Patrick and the arrival of Christianity in Ireland, and celebrates the heritage and culture of the Irish in general. We will be celebrating the Irish heritage and culture with BOTTOMLESS Guinness for R199, including a FREE Irish Car Bomb! Enjoy BOTTOMLESS Guinness for R199, including a FREE Irish Car Bomb. Crimson House is a high energy show band that delivers a potent set designed to make anyone jump dance and sing uncontrollably. Their style is a mix of Gypsy, Swing, Rock n Roll with Blues undertones. Fronted by Riaan Smit who leads the band and audience on a musical journey that leaves everyone smiling and bouncing with careless abandon. Glaskas is an Afrikaans band from Humansdorp, South Africa. The band came into existence after they won the Eastern Cape’s Rockspaaider competition in 2004. Glaskas consists of three members: Deon Meiring (lead vocals, guitar), Lolke-Louis “Buddah” Claassen (Drums, Backing Vocals), and Francois Kleynhans (Bass, Backing Vocals). Nick May is the lead singer of The Nick May Band. Armed with his guitar and deep baritone voice this soulful singer and his talented team of musicians will blow you away with their wide variety of cover songs as well as their very own Country/Pop music.